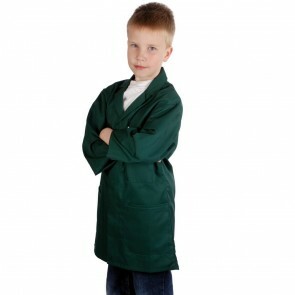 Exclusive to Food Safety Direct work coats designed especially for children! 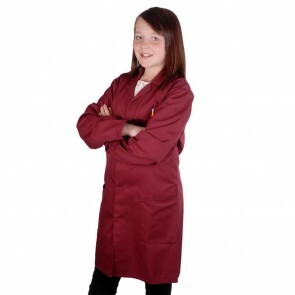 Our childrens work coats are ideal for keeping normal clothing clean when doing arts and crafts. No more rolled up sleeves or hems touching the floor. 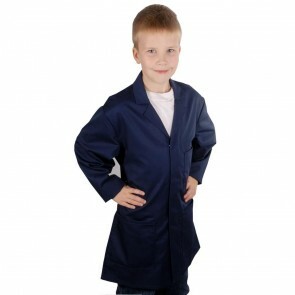 These kids work coats are exclusive to Food Safety Direct and have been designed especially for children! 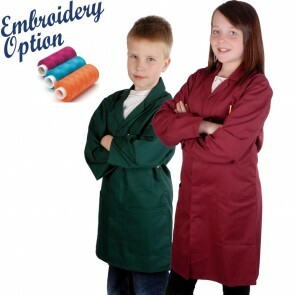 Our childrens work coats are ideal for keeping normal clothing clean when doing arts and crafts. They are made from top quality poly-cotton to the same standard as our adult coats. They feature a rear vent and 3 patch pockets, the breast pocket incorporates a pen slot. Optional custom embroidery is available on this range.